Find the right kind of support. Not all sports bras are designed equal. Though comfort tops the lists of reasons for getting one, there are actually a lot of factors to consider depending on the activity or workout you're set on doing. And of course, it has to look cute. The Nike Pro Classic's razorback design and snug compression fit make it a versatile sports bra that allows maximum movement with lasting comfort. The strap stabilizers also reduce bounce, while the soft chest band promises a very secure fit. The intricate and equally cool razor back design provides full back support while keeping your shoulders cool. Perfect for an intense barre sesh as you flex your arms to and fro inside the studio. It's noticeable that this bra has molded cups (wire-free, FYI!) to provide that "locked-in" feel for extreme support around the chest area. Bounce is reduced greatly with the Zip bra's compression fit design, so you could smash your way through the court with ease. With a trendy and playful design, the Classic Swoosh is made out of mesh and a soft elastic underbust band for a breathable and comfy fit. The razorback design allows a wide range of movement while the chest cutout makes it extra airy. You can call this bra your "go-to" if you're combining multiple workouts together. 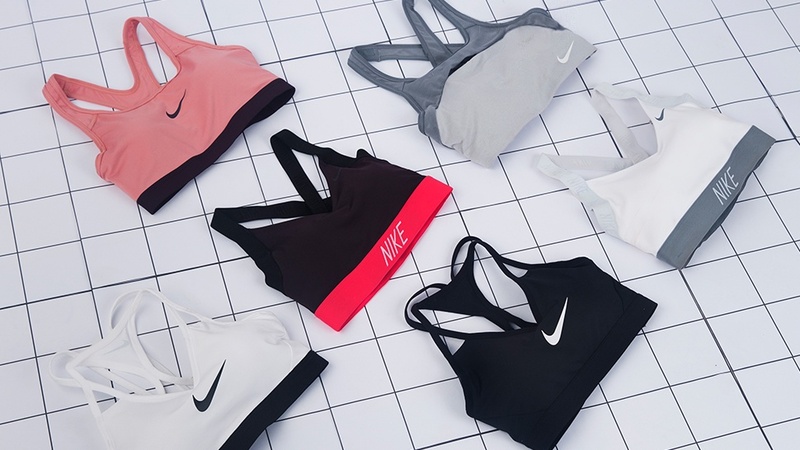 Learn more about the Nike Indy Sports Bra on their website and Facebook page.